Welcome to Pro HD Rentals! 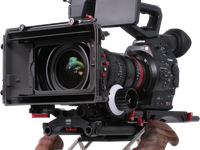 We rent high definition and 4K cameras, lenses and all related equipment. 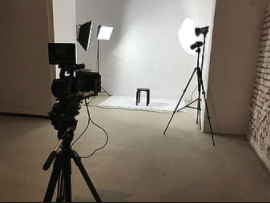 Our products include Arri Alexa Mini, RED Dragon, RED Epic, Sony PXW-FS7, Canon C-300 MKII, Blackmagic 4K, Canon Cine Series Lenses, Canon 17-120 Cine Zoom Lenses, Cooke S4i Mini Lenses, Zeiss Compact Primes, DJI Ronin, and more. We are based in Burbank, CA and serve the greater Los Angeles area. DJI Ronin 2 Pro Gimbal !! We have the NEW DJI RONIN 2 PRO GIMBAL available to rent. 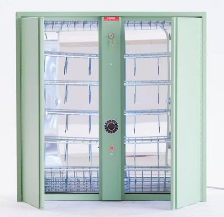 Get it for $550.00 per day. Upgraded high torque motors allow the gimbal to support a wider range of cameras. The Ronin 2 supports a range of cinema cameras, even with high-grade lenses and accessories. 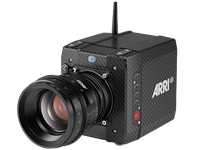 Compatible camera configurations include: Arri Alexa Mini, All Red Cameras, Canon C300 Series and more. Allowing up to 30lbs of weight. Feel free to add your favorite high quality premium lenses. Zeiss Super Speeds, Zeiss Ultra Primes, Cooke Primes, CP.3's, Sony CineAlta Lenses and many more. Ask ProHD how to create the ULTIMATE DJI Ronin 2 Gimbal Package. We Have The ARRI Alexa Mini ! We have the ARRI Alexa Mini available to rent for $1,500 per day. We Have The Canon C300 MK II ! 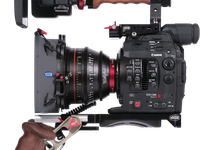 We have the Canon C300 MK II with EF mount available for rent at $600 per day. The footage this camera captures is downright gorgeous. Watching the footage on the Internet does not do this camera justice. On a high resolution monitor with intense color reproduction, this video looks downright stunning. We are impressed with the colors, the depth of the images captured, and the sharpness of the in-focus subjects. Canon’s new XF-AVC codec looks great with little or no grading done to it. The data bitrate of 410 MB/sec in 4K, up from around 50 MB/sec in the previous C300 that only exported full HD, is impressive. This is high, but not insane, and the compression of the information was not noticeable. The way this camera handles color is pretty extraordinary. Combine that with the dynamic range and you have a camera that creates images that are shockingly realistic. The dual pixel sensor is nice, and the focusing area occupies 80% of the sensor making it very fast and reliable. Not feeling autofocus? You don’t have to use it, but Canon mixed manual focus with their autofocus tech, allowing the camera to still sense faces and lets you know if your manual focus pulls are actually in focus via a little icon that appears above faces. It’s a nice little touch, and one that will certainly work well in combination with focus peaking to assure subjects are sharp. 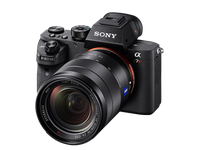 Overall this is a great camera, come by our office and check it out today. We Have The Sony PXW-FS7 ! We have the Sony PXW-FS7 available for rent at $400 per day. Sony's PXW-FS7 is the ideal camcorder style camera for documentaries, unscripted TV, web features, indie films, reality TV and more. The FS7 can record 4K internally and up to 180 fps at 1080p with no time limits. Long battery life, 2+ hours per U60 in 4K? 3 60 batteries should last you all day. Nice EVF/Monitor - sharp and very bright.